Yay, more pictures of Muslims not hating dogs, not hating dogs at all. Here are Muslims who love dogs, and not just Salukis. Okay, I don’t know what this one says. My guess is this guy rescued the dog, but I don’t know. Thank you to commenter Kittun for her blog and pointing me in the right direction to find more photos. Why Doesn’t Palestine Care that Israel Stole Its Dog? Israel’s national dog is the Canaan Dog, a really sleek pariah dog that’s a good herd dog. Luckily for them, these awesome dogs just happened to be hanging around in the completely uninhabited area that Jews moved into in the thirties and forties. In a mean, ironic twist, pre-Israelis used the dogs to attack Palestinians. So I can see why Palestinians don’t particularly want to reclaim their rightful herd dog. But if you’re going to get bent out of shape about Israelis laying claim to hummus, which after all is just chickpea and sesame goo, it seems like you also ought to fight for your dog’s honor. What a beauty, right? I want one. In Ashkelon, a graveyard was discovered, believed to be Phoenician from the middle of the fifth century BC. It contained 700 dogs, all carefully buried in the same position, on their sides with legs flexed and tail tucked in around the hind legs. According to the archaeologists, there was a strong similarity between these dogs and the “Bedouin pariah dogs,” or the Canaan dog. A sarcophagus dated from the end of the fourth century BC, was found in Sidon, on which Alexander the Great and the King of Sidon are painted hunting a lion with a hunting dog similar in build to the dogs of Ashkelon, and similar in appearance to the Canaan dog. Collection of wild Canaan dogs has all but ceased. 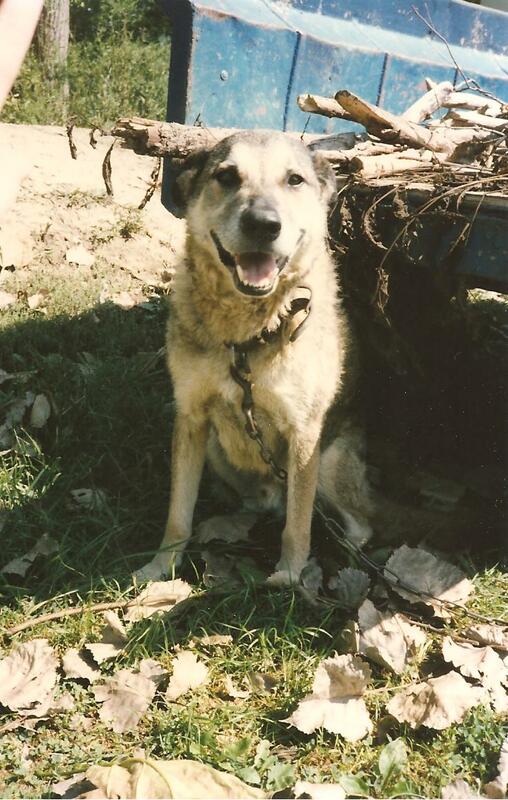 The last two dogs that were collected in the Negev in the mid-1990s, and most of the Canaan dogs living in the open were destroyed by the Israeli government in the fight against rabies. Even the majority of Bedouin dogs today are mixed with other breeds, although Myrna Shiboleth visits the Negev annually, looking for good specimens living by the Bedouin camps, that she can breed with her dogs and strengthen the gene pool. It is noted that they did not know the guard dog of sheep, so it was easy for a small number that Isoqgua herd of cows and calves but one man not be able to market non-animal, a male and one or two at most, whether it be deer horns or pointy Tessa spasmodic, or an ox, a depositary fat. and a somewhat related post on American Bedu blog on dog ownership, Saudi Arabia, and Islam. If I were ever going to clone a pet, which I never would, I’d clone this dog. He was awesome. I didn’t get to live with him and he wasn’t mine, but he was one fine dog. Went jogging with him a few times. I’ve blogged about this before. In the United States and Britain, it’s generally considered extremely cute to dress animals in human clothes. On the other hand, in parts of the middle east, it’s considered a grave insult. Apparently the movie I Love You Man includes a little dog named Anwar Sadat, named because he “looks like” the late president. Rokaya Sadat, elder daughter of the late Egyptian president Anwar Sadat, claims the memory of her father has been sullied by a Hollywood film that has named a dog after him. Sadat has filed a lawsuit against Minister of Information Anas Fekki for allowing the release of the “I Love you, Man” in Egyptian cinemas. One of the film’s main characters calls his dog Anwar El Sadat. In one scene, when asked if he chose the name because of Sadat’s political views, the character responds by saying that the dog merely looks like the former president, who was assassinated by Islamic radicals in 1981. The movie’s credits also contains Sadat’s name as himself/the dog. Despite omitting the scene from the version currently playing in Egyptian cinemas, many pundits believe that it should have never been shown in this country. She really believes this was intended as an insult to Sadat’s memory. That’s what’s so sad about this.